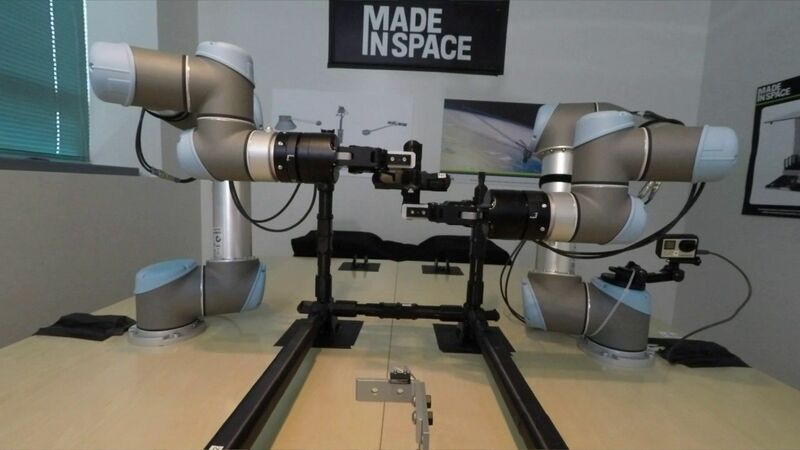 Within 4–5 years Made In Space believes their Archinaut space manufacturing robot and manufacturing mini factory will be making large structures like trusses and reflectors in space. The Archinaut has an industrial-sized 3D printer, cartridges full of plastics and alloys, and robotic arms programmed to assemble the big items extruded by the printer without any human supervision. All Archinaut parts are able to survive in microgravity and harsh conditions like lunar dust storms and extreme temperatures.